Jingle Belles has a challenge of using a recyled item on your card. I took a piece of clear plastic from a Sizzix package and trimmed it a little smaller than an A2 sized card. 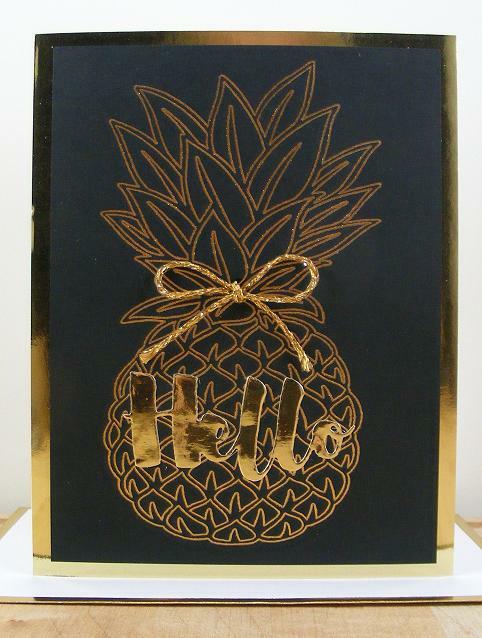 Next I ran it through an embossing folder with a holly and berries pattern. 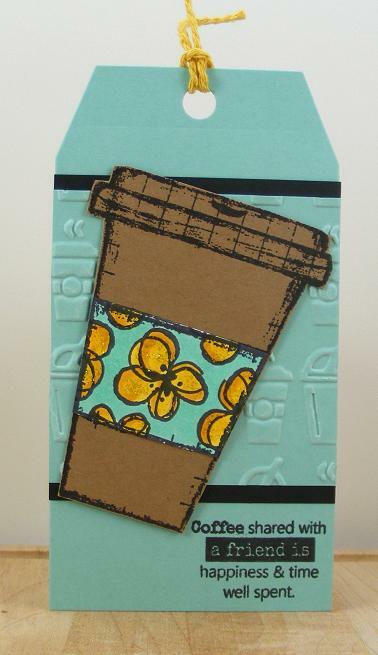 Then I used one of my new acohol inks (in Citrus) and applied color to the recycled embossed plastic. I applied it with a piece of white felt. 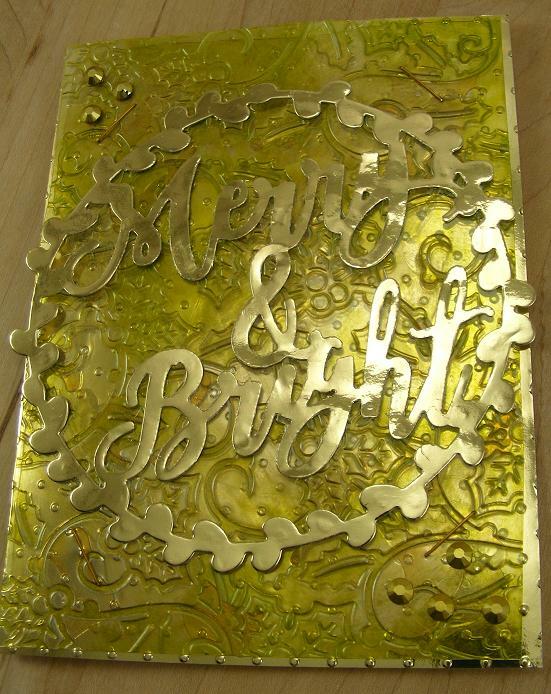 Last I went over it lightly with some Tim Holtz metallic mixative in gold (again using white felt). 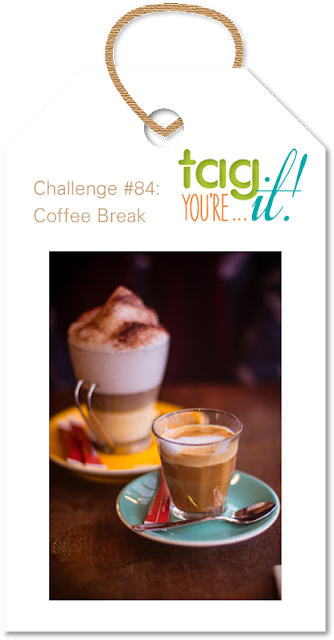 I've been trying to find the time all week to make a tag for the current Tag, You're It Challenge. I finally got to "play" a little while in my crafty cave this afternoon. 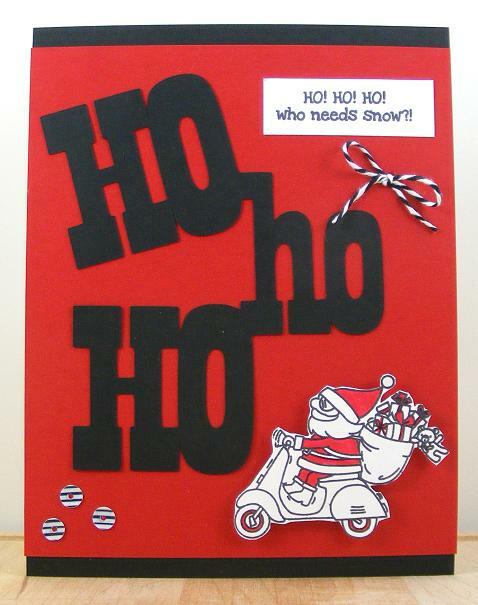 Next I created the card using the tag I had made. 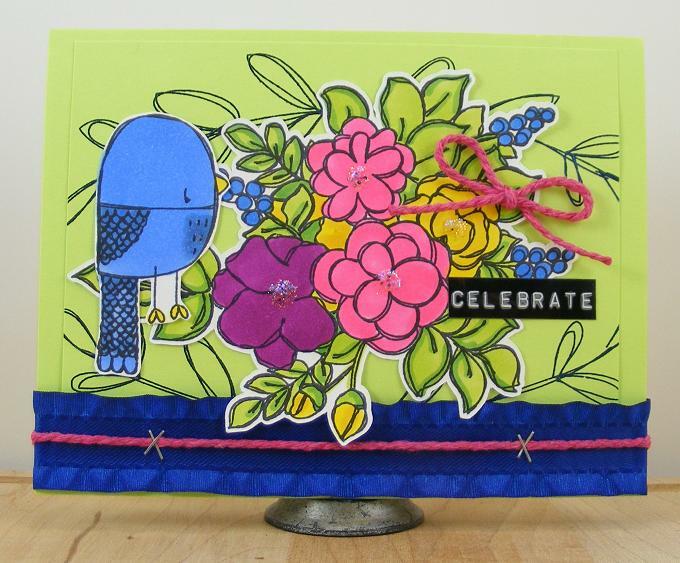 I pulled out an embossing folder, some cotton twine and epoxy flower shapes to finish. Before I put everything away (I always clean up after each project), I stamped the envelope. 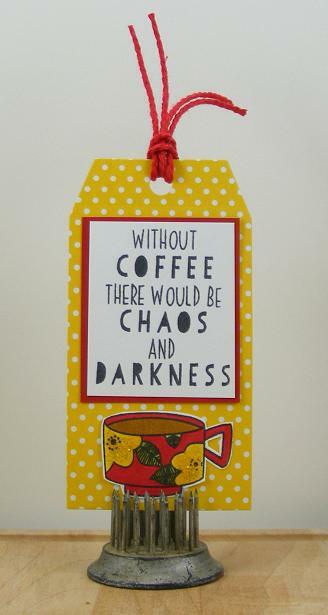 This will go in my "card box" and be all ready to mail when an occasion arises for it. 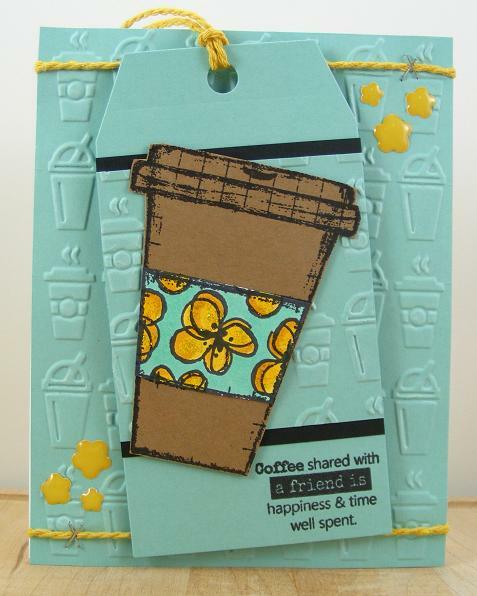 Thanks for sharing your time with me and as always stay crafty! Thanks for visiting and as always stay crafty. I finally got my Foil Quill and here is the first card I created with it. 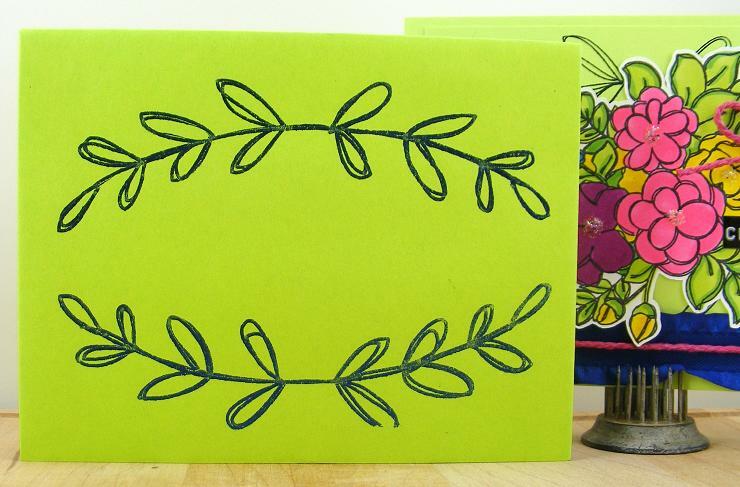 I used a dark royal blue foil on a bright green cardstock. I used a design from the Silhouette Design Store to create the leaves in the background. The new Art Impressions challenge is a fun one called "Cutting Edge." I recently bought the new Art Impressions stamp set called Never Too Old. I LOVE this set stamp set with its funny sentiments and woman image. 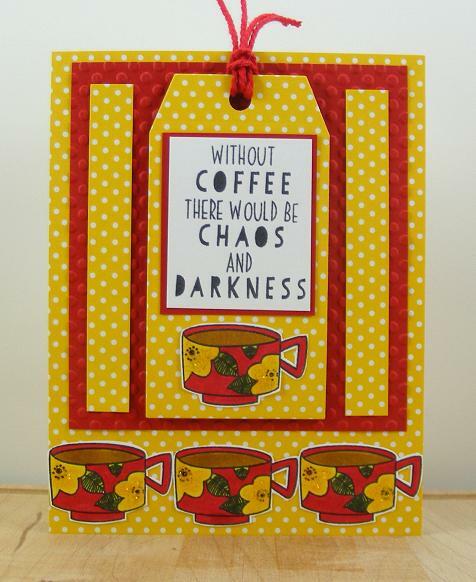 I can see making lots of humorous cards with it. 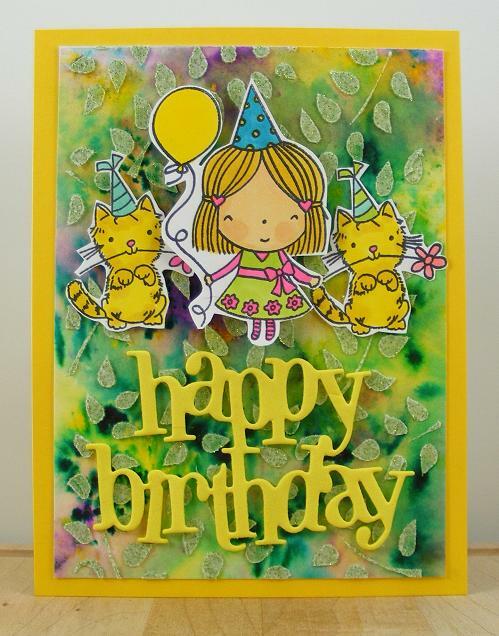 I used Sizzix Card Basic Step-Ups die to create my card. I cut the card from a bright green cardstock. 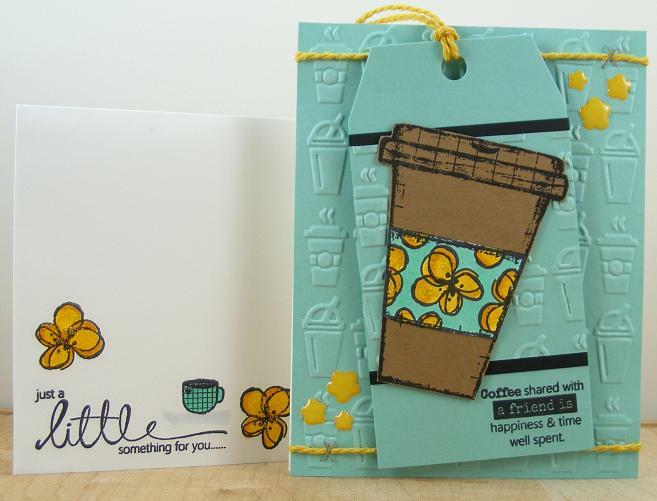 The patterned paper is by Die Cuts With A View from a stack in my stash. I stamped four sentiments with black ink on white cardstock. I stamped the image on white cardstock with black ink and colored it with alcohol markers (Copic and Spectrum Noir). 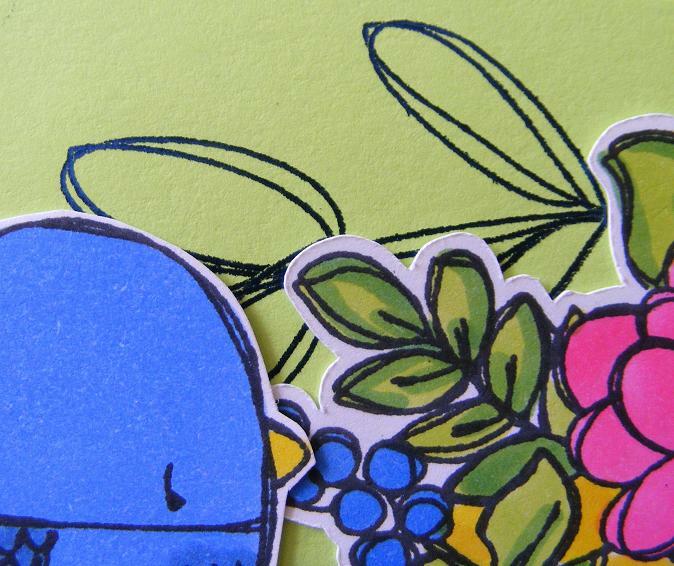 I fussy cut out the image and then adhered all to the card as shown. 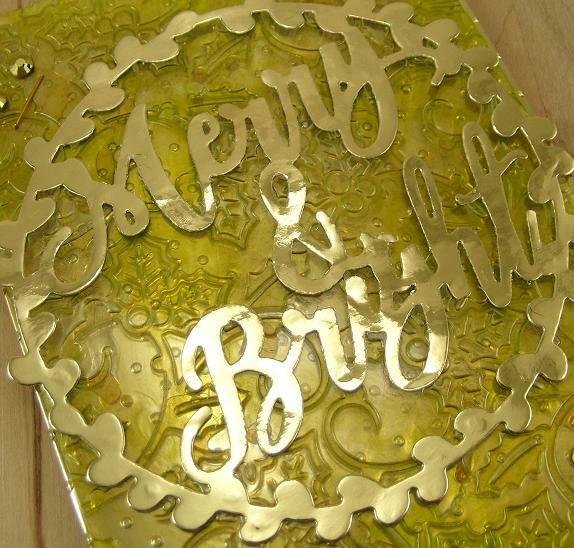 A twine bow and a few sequins were all it needed for the finishing touches.